Colorectal surgery is a major part of general surgical and acute emergency surgical practice and is usually considered part of general surgical training in most countries. Right hemicolectomy and segmental resections are generally considered within the capability of many trained acute and elective general and rural surgeons; however, lower and more complex colonic and rectal surgical procedures, and in particular restorative reconstructions, are among the most difficult, unforgiving, and dangerous operations, with significant risk of leakage, infection, and severe sepsis. Appendicitis is a common problem and appendectomy has the reputation of being either the easiest of abdominal operations or the most difficult. Specialized units may reduce the risk of complications and offer improvement in both mortality and economic indicators. 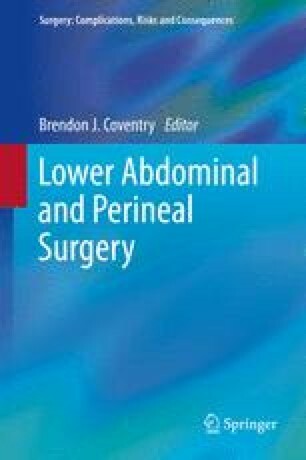 This chapter provides information concerning complications, risks, and consequences of colorectal surgical procedures. For associated or other procedures, refer to the relevant chapter and volume.